Well I was cruising through Beverly Hills this past Sunday killing some time and needed, frankly, to offload some of the four gallons of really delicious lemonade I'd consumed at a morning event. So I went to Barneys to use the loo and visit the bell jars. 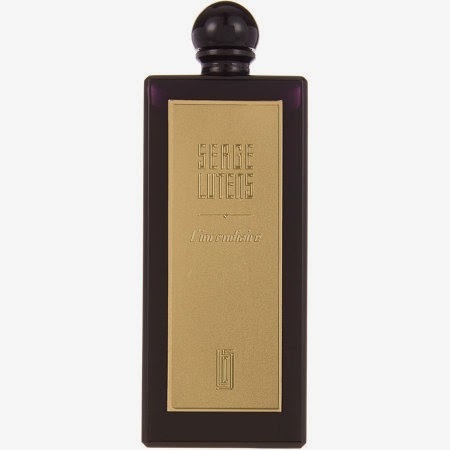 The very nice lady at the Lutens counter introduced me to newest one in the line: L'Incendiaire, which if I am remembering correctly roughly translates to "Arsonist." It's definitely the most Serge of all the Serge's- chock full of smoke and resins that are practically taffy like. I was immediately in love until she mentioned that since it's a pure perfume it's $600 for 50ML. Ooof. Is it worth it? Well, frankly yes. This is Uncle Serge upping his game into JAR territory. Will I purchase it? Since it's more than my car insurance, I am thinking no. I can't really comment on lasting power since I just gave my wrist a spritz of it and walked home on a very humid and warm day, so I can't judge it properly. But from what I was smelling on the way was pretty much Uncle Serge squared and squared again I suppose the price is justified. But I ain't buying it. As I said, I spritzed for free at Barneys. I don't suppose there is an EDP version coming? I am sure I will like it, maybe even love it, since it's a Serge, but not at that price! I don't think so. But we live and hope..